Thanks to our friends at the Oranginas Group for providing Walkopedia with this walk. This information has all been provided by our friends The Oranginas Group of the Netherlands - many thanks, Oranginas! 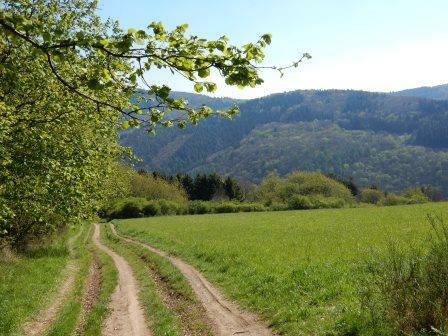 A hiking trail through the romantic valley of the Ahr-rover. 83km in total, between Ahrweiler and Insul: two sections along the left bank and two sections back along the right bank of the river. The Ahr-river originates in Blankenheim and flows into the Rhine near Sinzig, south of Bonn. 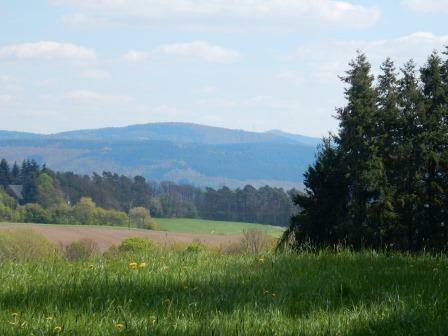 We made use of some very well marked trails: the Rotweinwanderweg, The Ahrweg, the Ahrsteig and the Karl Kaufmanweg. A relaxing hike. On the second day a 220m climb. Sometimes on height, sometimes in the valley, right next to the river. Day 1: Bad Neuenahr-Ahrweier - Altenahr....................22 km. Day 2: Altenahr - Insul...................................................18 km. Day 3:Insul - Altenahr....................................................19 km. Day 4:Altenahr - Ahrweiler............................................20 km. 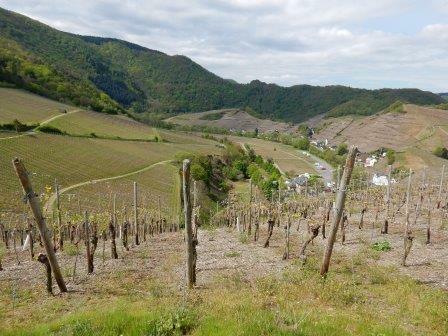 A very diverse landscape: along a river, through vineyards, forests, meadows, open fields. The typical German wine villages. Some ruins, castles and monasteries. Or Ahrweiler with its old town center. Impressive rock formations. With a bit of luck you can admire the kingfisher or the grass snake…. With a good map you can make your own trail: plenty of possibilities: higher, lower, a bypass….whatever you wish. Moreover: the region is very suitable for nice cycling tours. Between Ahrweiler and Ahrbrück runs a train, for you and your bicycle. The walking area is easy to get in by car (the autobahn to Cologne and Bonn). Or take the train to Cologne-Remagen-Bad Neuenahr/Ahrweiler. You also can fly to Bonn and then by public transport to the start of our hike: about 35km. Hotels in the villages on trail. We made use of the services of Via Soluna (hotel booking, baggage transport….). “Das Ahrtal, zwischen Schuld und Sinzig am Rhein”, scale 1:25.000, publ. Eifelverein.